D-Day….Red shoes Part 2… – Definitely Not The Walton's…. Yesterday was D-Day – The Day I spoke at the Rare Diseases UK AGM in front of various learned bods and alliances of support groups etc. I have had so many wonderful messages, e-mails and texts asking how it went and am truly overwhelmed by the support; it means a lot. Since everyone was still awake by the end of my speech and no one threw anything at me (mind you as my dear Father pointed out, have you seen the price of fruit these days?!) I am counting this one as a win. Yes, it was nerve wracking and I had sweaty palms (bet you are glad I shared that aren’t you?!) but the main feeling I came away with was empowerment. So often as a parent we are at the whim of the medical teams and therapists; so often we wait passively for tests, results, follow up consultations and such like that the lack of having control, feeling disempowered, becomes our norm. More disconcertingly, you don’t even realise that’s what you have become used to, until something – in my case the opportunity to take part in the discussions at the AGM – makes you feel alive again. I can only describe it as akin to feeling numb to everything most of the time – maybe because we parents have so much invested in our children and the lack of diagnosis over time saps your energy; we become a faded, more jaded and insipid part of ourselves? I can’t say. What I do know is that having people listen to our experiences as a family, acknowledge the battles we fight and most importantly recognising that things need to change for all families and patients involved with complex care needs was so very important. Not just for me but for the wider community as a whole. It was most interesting to hear from Larissa Kerecuk, the Rare Disease lead from Birmingham Children’s Hospital and the plans that have been put in place to improve services, including a whole new building block being dedicated to paediatrics department specialising in rare diseases. Inspiring and definitely the way forward! Whilst I certainly wouldn’t wish a rare disease on any one, particularly a child, patients and families utilising their facilities when the project eventually comes to fruition can be assured that they will be treated in a fantastic facility, thought through in minute detail and concern. This can only be a good thing and I will follow their plans with great interest. 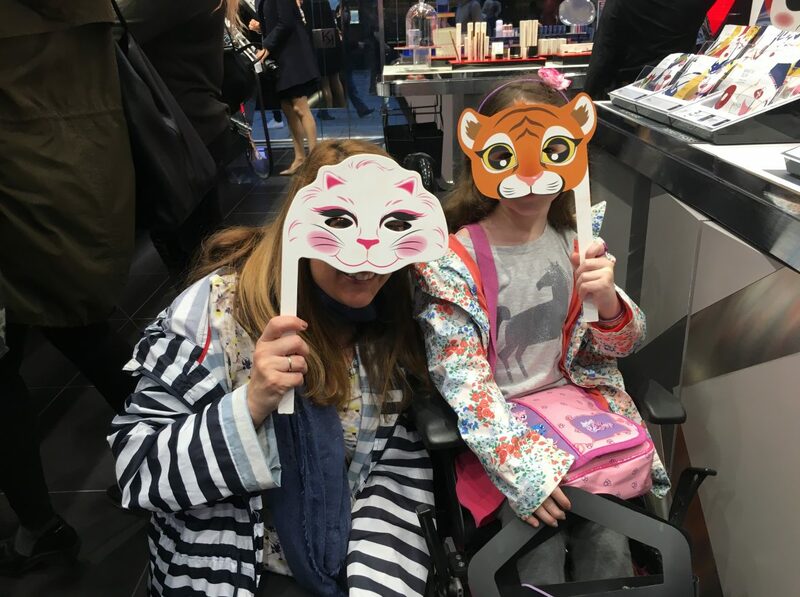 To listen to Jo Goode’s experience of having a very rare condition (dermatomyositis) and the battles she has faced (and still faces) over the years to get her diagnosis, even now to access appropriate treatments was both insightful and familiar in spite of the differences in her needs and those of our daughter. In fact, there was much nodding of heads all round the room from those who have obviously fought similar battles and could relate in ways that only a patient or carer can. Although I thought when I first stepped up to the podium that I might regurgitate my spinach and egg muffin over the first few rows, I came away uplifted and empowered (& probably not just because I’d had a night in a sumptuous hotel room away from a beeping feed pump and the clamouring of my children, although I am sure that helped!) I really felt that I had contributed something useful and that those involved were striving for the best possible outcome for all affected by rare diseases in one way or another. Whilst it was lovely to get home and see the family, the irony of returning to my small folk who completely ignore everything I do, say and suggest after such lofty heights of the morning was not lost on me. So, would I do it again? Hell yes! 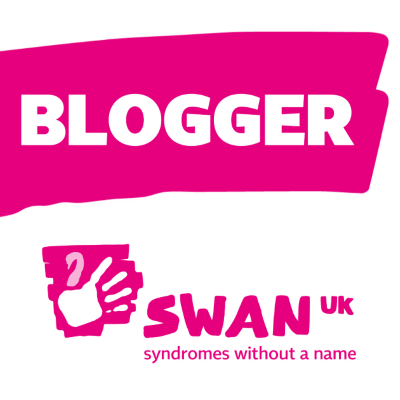 Watch out SWAN UK and Rare Diseases UK, you may have just created a monster!! Previous Put on your red shoes…….